The late Sa’u Justina Fiapa’ipa’i Sa’u was a true blue Marist and made history when she became the first female to join the male-dominated Marist Brothers Old Pupil’s Association. Marist Brothers Old Pupil’s Association (M.B.O.P.A.) president, Tuatagaloa Aumua Ming Leung Wai, said this when paying tribute to her at her funeral service at the Catholic Church in Manono-uta. Speaking on behalf of the association, Aumua said the deceased was one of the first females to attend the St Joseph College and first female dux of the school. “Our Marist fraternity has come here in numbers and strength to pay our respect for our sister Sa’u Justina, a trailblazer within our Marist fraternity. 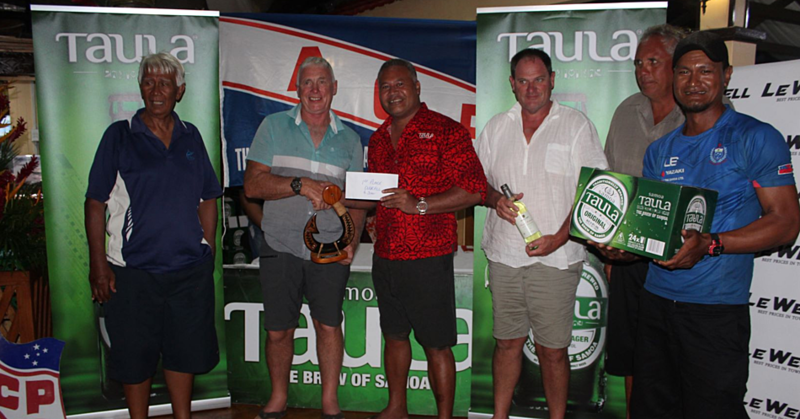 “Sa’u was one of the first females which were allowed to attend St Joseph College, an all-boys school back in 1993. She was also the first female Dux at St Joseph College. 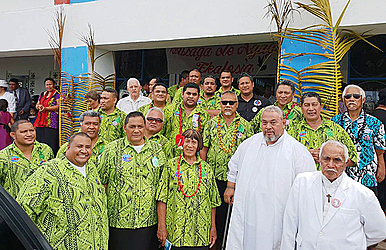 “The first female to join the Marist Brothers and was also the first female selected to be on the Marist Brothers Committee as a Secretary,” he said. The presence and role of the late bureaucrat at the college, and on the committee, compelled the Catholic Church order to change its name and amend its constitution, added Aumua. 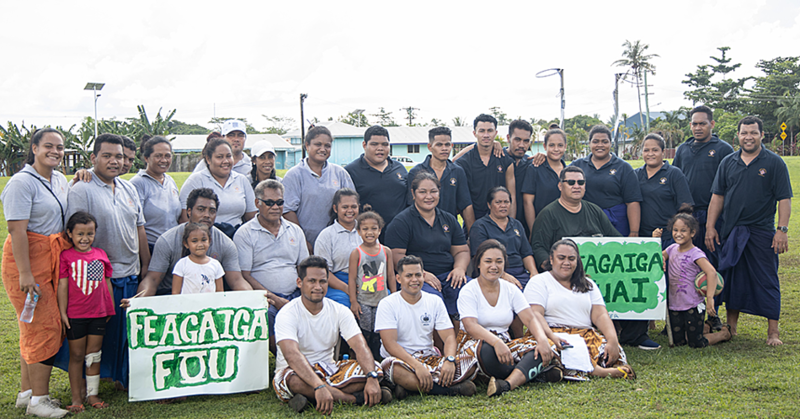 “And because of the respect we the Marist Brothers have for Sa’u, we changed our name to Marist Brothers Old’s Pupil Association, and led us to amend the constitution of our association. “She was keen on getting funding to assist the Marist Brothers Old’s Pupil Association in our projects, as many know we are used to fundraising for our projects,” he said. The President said Sau’s passion to fundraise to clear loans which the Marist Brothers had with the banks will not be forgotten. Following Sau's death, the association decided to set up a spiritual advisory and counselling committee that comprise: Patele Mikaele Tuimavave, Deacon Tualasea August Gabriel, Brother Siaosi Ioane, Brother Iulio Suaesi and Bishop Laulu T Leauanae. Aumua said the new committee will provide spiritual guidance and counselling to their members. Sa’u was into her third term as the C.E.O. 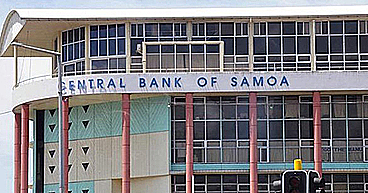 of Government investment arm Unit Trust of Samoa when she died last month. She is from Apolima, Faala Palauli and Ululoloa and leaves behind four children.